1. 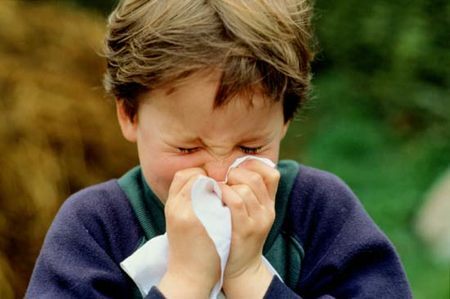 Steam: If your little one suffers from cold and has trouble breathing, get him/her to take steam. Make the kid stand in the bathroom with hot water running or simply heat water in a wide bowl and make the kid inhale the hot fumes for at least 10 to 15 minutes. Adding eucalyptus oil can also help soothe your child’s system. 2. Honey: Known for its soothing effect, dip your finger in honey and let your baby lick it two three times in a day. If your child is older than five years, mix a spoonful with cinnamon powder and ask him/her to have it. 3. Carom Seeds: Boiling water along with carom seeds (ajwain) and tulsi leaves can help to keep the cough in check. It also helps in relieving chest congestion. 4. Massage: Massages work best for children who are below two years of age. Mix mustard oil with garlic and massage your baby’s chest, back and neck area. Also cover the baby’s palm and feet with the oil for a quick relief. 5. Keep your kid hydrated: When your kid is going through a bout of sneezing and coughing, it is very important to keep him/her hydrated. Drinking water at regular intervals will help fight the common cold and reduce the inflammation in the throat along with washing out the infection. Other fluids in form of warm soup or a fresh juice are also beneficial for replenishing the body’s lost energy. 6. Salt gargling: A glass of hot water with a teaspoon of salt can be useful to ease a sore throat. Ask your kid to gargle with salt water twice a day. The saline water helps soothe the pain. 7. Turmeric milk: Due to its antiseptic properties, turmeric is known to treat viral infections such as cough and cold. Add turmeric powder to a glass of warm milk and make your kid have it every night. It provides instant relief for an aching throat and runny nose. Since it is a rich source of calcium, milk also provides energy to your kid.